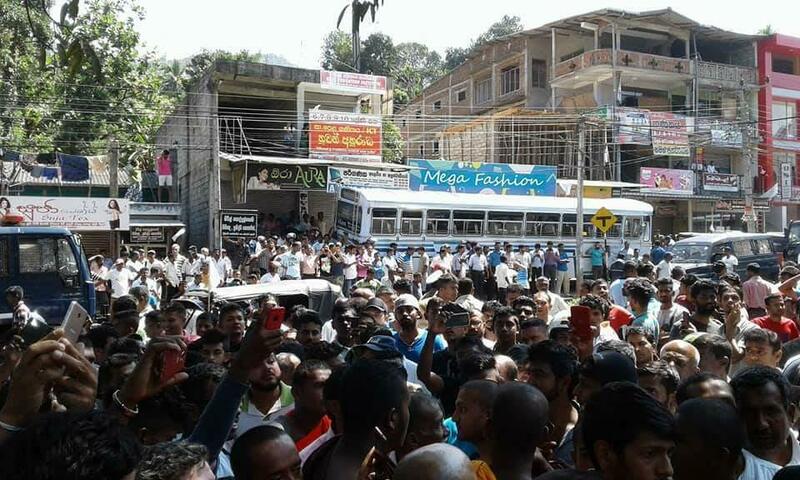 Troops moved into Digana, Kandy yesterday afternoon when the police failed to bring a tense situation there under control. 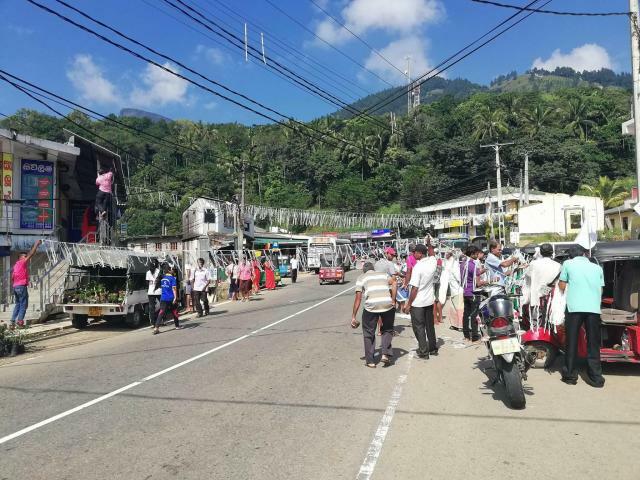 Police curfew was imposed in the Kandy administrative District until 6.00 am today. 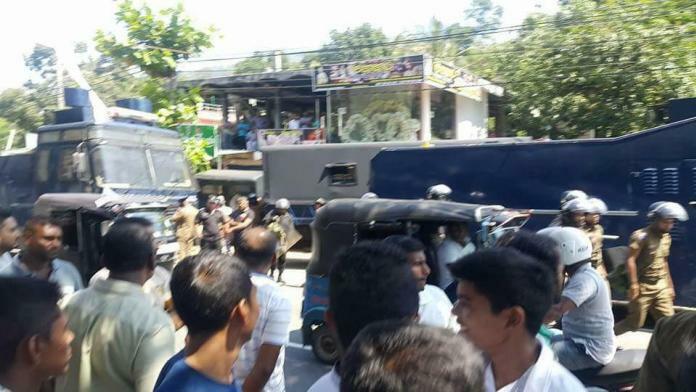 Earlier the police and the STF used teargas and water cannon in a bid to disperse the protesters and arrested 24 persons. 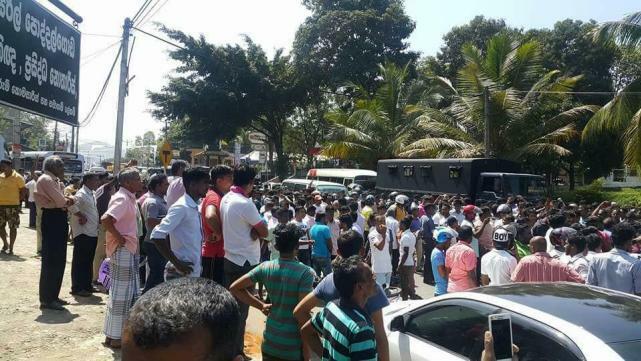 However, by 3.00 pm the situation deteriorated and the army had to be called in. 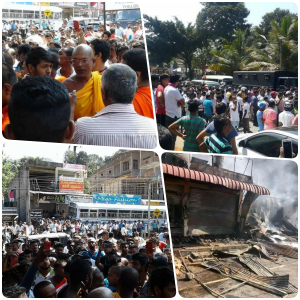 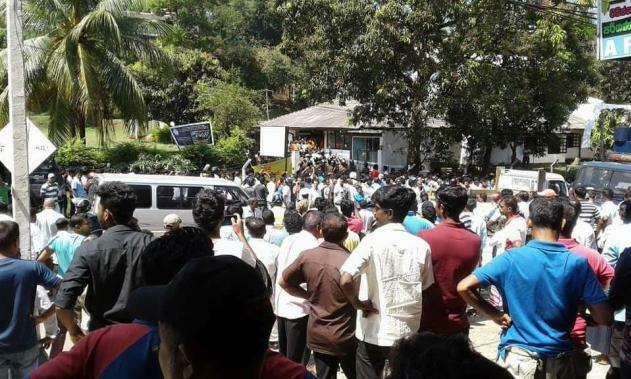 The protesters attacked several commercial establishments in Digana, Kandy on Sunday night and Monday morning after the funeral of a lorry driver who succumbed to his injuries after being beaten by four youth, who belong to a different religious community. 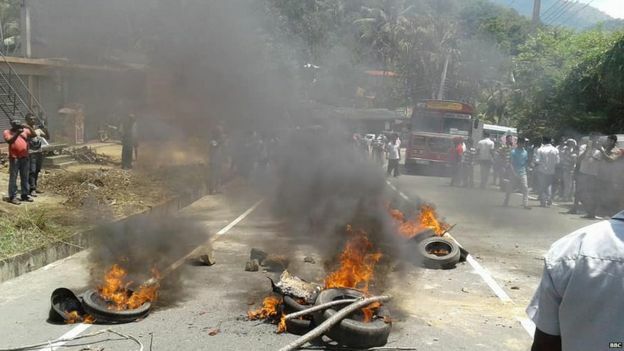 "The police have requested the army to step in and we will be sending forces immediately," military spokesperson Brigadier Sumith Atapattu said. 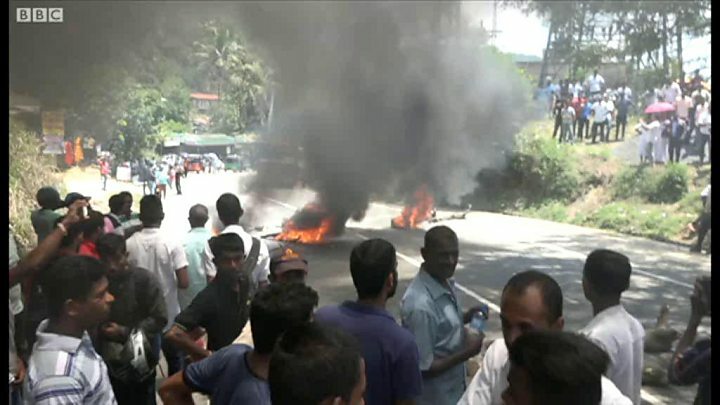 Police spokesman, SP Ruwan Gunasekera said that they would bring the situation under control with the assistance of the army and would take swift legal action against those involved in the violent clashes. 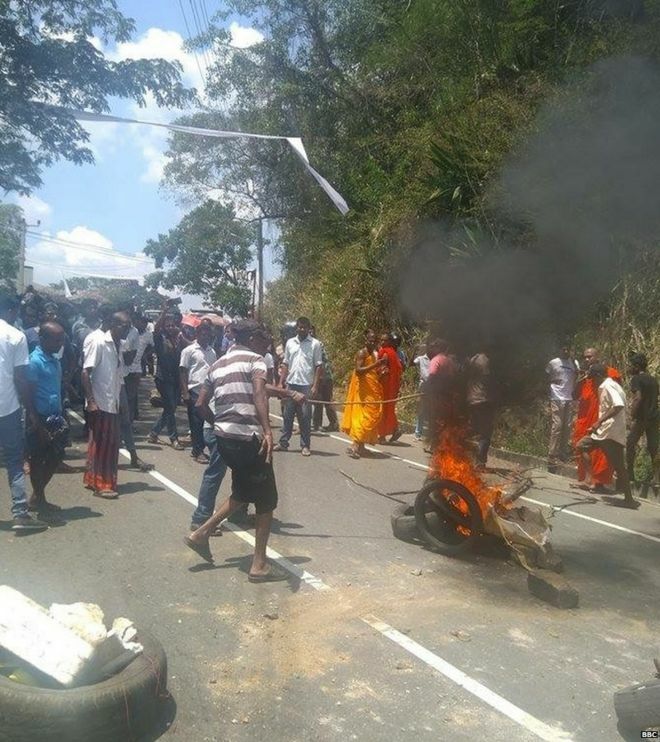 Last week M. G. Kumarasinghe, a lorry driver was assaulted by four youth travelling in a three wheeler and he succumbed to his injuries. 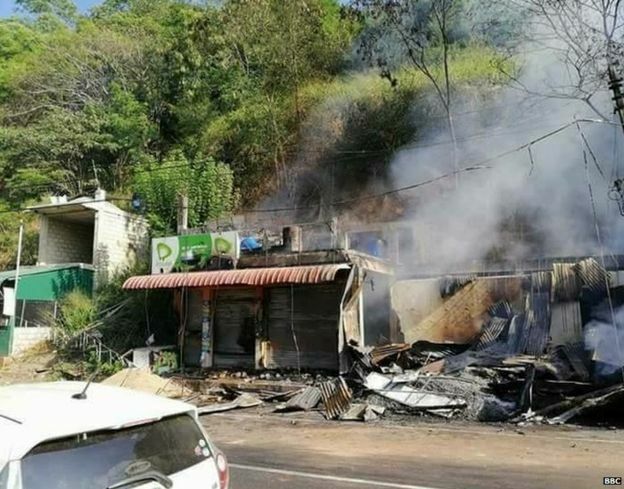 The incident took place on February 22 at a fuel filling station in Teldeniya. 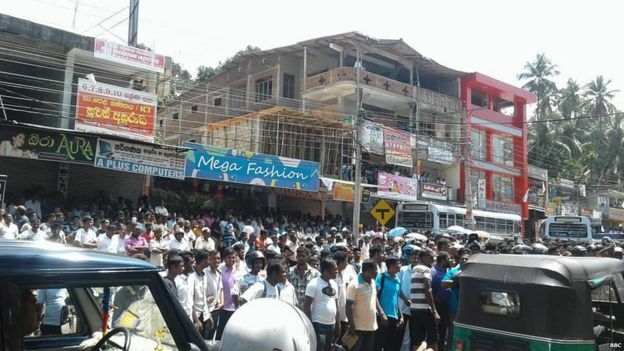 Protesters gathered after his funeral and attacked several shops in Moragahamula, near Teldeniya on Sunday night. 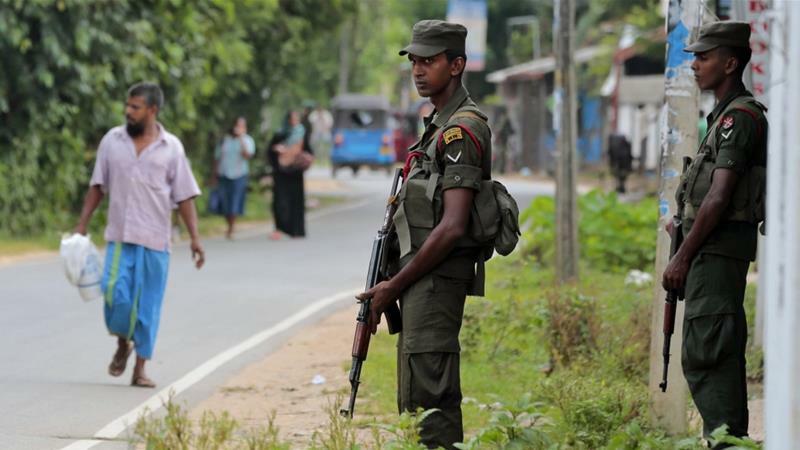 Police and STF were deployed in Teldeniya, Udispattuwa, Meda Mahanuwara and Ambala. 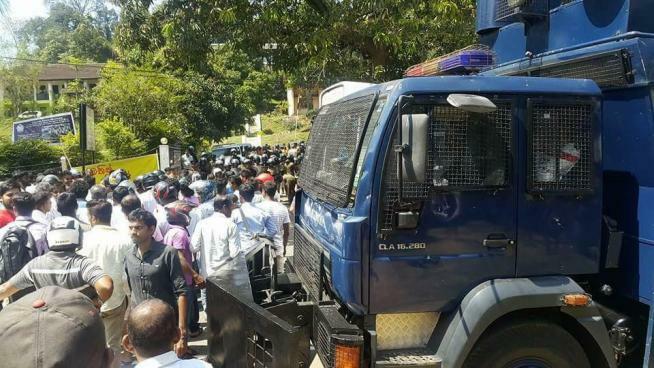 The DIG Headquarters in Kandy said that the four assailant had been arrested and the trishaw they had been travelling taken into custody. 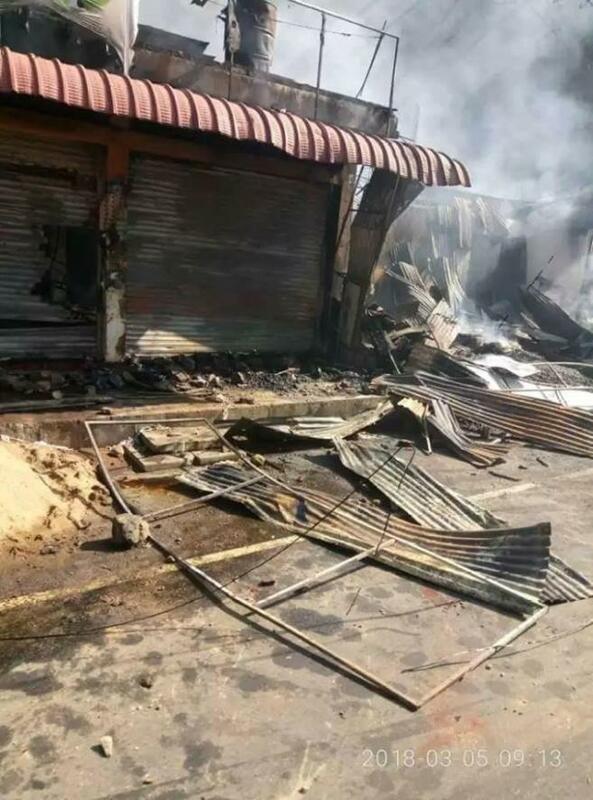 Last week ethnic violence erupted in Ampara town following a brawl in an eatery. 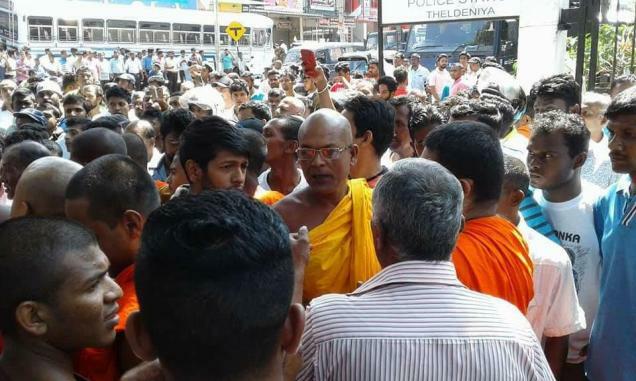 On Sunday the Ministry of Law and Order said the government would take swift and severe action against those who got involved in incidents that hurt ethnic harmony and coexistence.